When it comes to laces, zaris and embroidery work, the first thing that flashe in front of my eyes is the magnanimous costumes of the latest Bollywood flick – Padmavat. It is perhaps the best exhibit of Indian craftsmanship to the largest ever customer base in India who do not have access to the fashion shows. It is incredible to see the sheer grandeur is being woven by the artisans and craftsmen of our country. While western wear is all about cuts, falls and styles, the star of the Indian traditional wear lies in its ornamentation which is achieved through the use of laces and embroidery work. Beautiful laces and embroidery work has the capacity to lift a very drab looking fabric to a level of unmatched grace and elegance. India, as rich as it is in its textile resources, it is equally flooded with excellent embroiders and lace manufacturers in all parts of the country. India is rich! Indeed, when it comes to art and craftsmanship, Indian artisans are unmatched. These artisans are spread in every corner of the country spinning magic with thread work and laces. In fact, this is one sector that has given Indian apparel industry its unique signature. Within India, Gujarat being the textile hub of India, you are sure to find the best zari laces manufacturer in Surat. The lace suppliers in Gujarat have the largest and the oldest hub that is catering to the domestic as well as the international market with equal aplomb. Zari and laces are an integral part of Indian apparel. Zardousy, brocade, katoki bel, mukaish, tilla or marori work, gota patti, kinari work and many fabric ornamentations that have been among the selected attire for the royals in India, have been possible because of the existence of zaris. Real zaris are made out fine silver and gold threads which were used on a base fabric which would usually be a very fine quality silk. In ancient time very fine quality silk fabric and these precious metals were available in abundance and such craftsmanship were highly patronized by the royal and aristocrat families. Now, however, a lot of imitations and artificial techniques are available that give the same look and feel but cut down the cost of using pure silver and golden threads. These are known as metallic zaris. Laces are one of the most high in demand product in Indian apparel market in recent times. The amount of work that is being done on trips of fabric to make these laces is incredible and breathtaking. Laces are no longer just strips of crocheted or ribbons made out of zaris. The extent and the expanse of laces and embroidered ribbons are difficult to be explained in words. One visit to the hubs for zari and laces in Gujarat will get your head spinning. It is an awe inspiring sight to see the incredible work of art stacked in yards and yards of rolls. These are the very elements that give traditional Indian attire its unique character. Surat happens to be the largest producers and exporters of zaris and everything that can be made out of zaris that include borders, trims, edges, fringes, ribbons and many more. 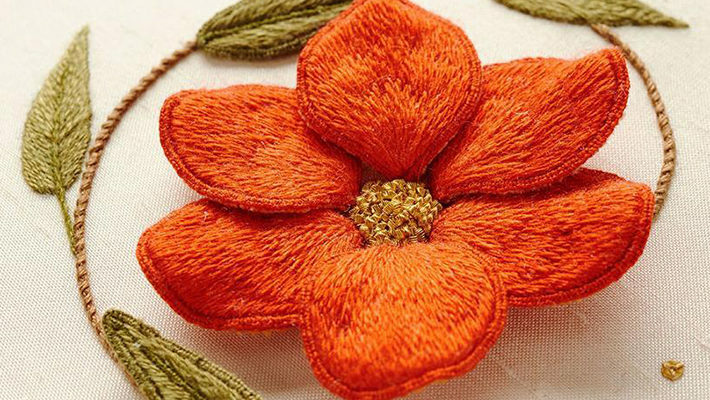 Myriads of crafts such as crocheting, braiding, embroidery and weaving are continuously and relentlessly going on to produce the finest quality of embroidered laces and zari work. Unmatched skills and dedication has made this industry to thrive and influence Indian fashion industry since time immemorial.